With the launch of Bing and the merger with Yahoo, Microsoft (NASDAQ:MSFT) had high hopes for gaining search engine market share! 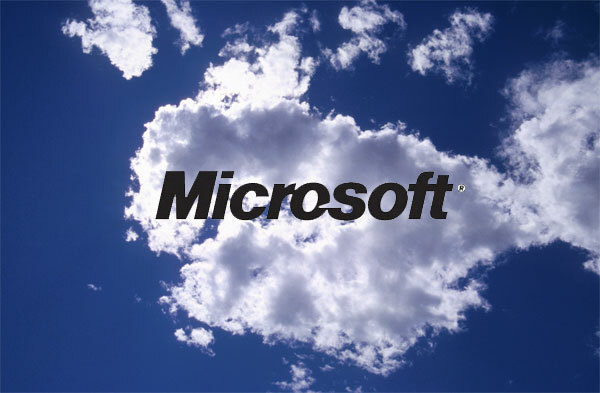 The bad news surrounding Microsoft isn’t a new thing. Over the past 10 years – from XP to Vista, to Microsoft Mobile and Bing, the news has not been pretty. 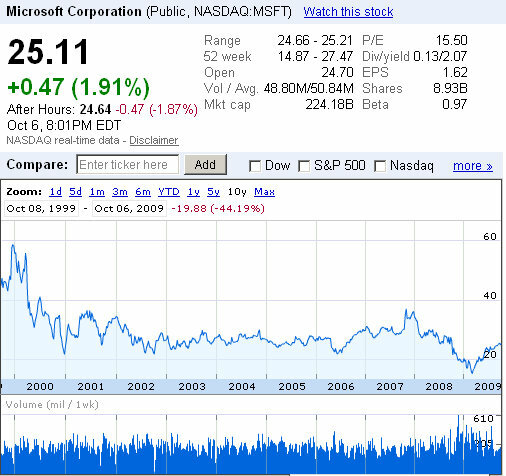 Again, this is a 10 year chart for Microsoft stock. And as a publically traded company, if you aren’t producing, performing, and generating a profit, your stock is going to continue to dive. However, if you’re making money, creating innovative products and services that in the future will more than likely be in high demand, then you’re stock chart will look just the opposite of Microsofts.